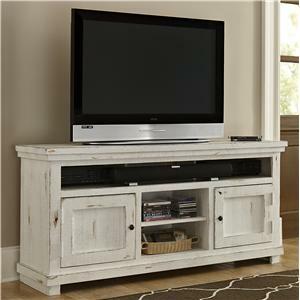 Bring a chic farmhouse feel to your living room with this transitional TV console. 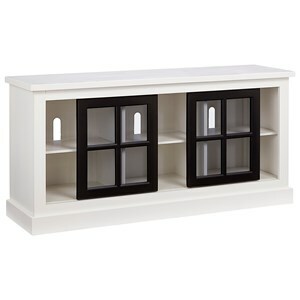 It features an eye catching two-toned finish, as well as window panel sliding glass doors. 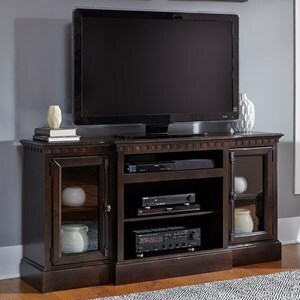 The wire management openings in its back panel and its adjustable shelving ensure this piece is the perfect place for all of your media storage too. 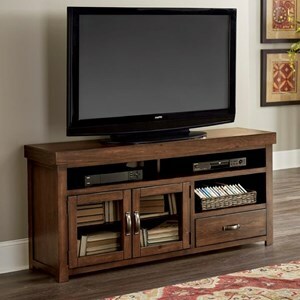 The Habitat Transitional 58 Inch Console with Sliding Doors by Progressive Furniture at Howell Furniture in the Beaumont, Port Arthur, Lake Charles, Texas, Louisiana area. Product availability may vary. Contact us for the most current availability on this product. 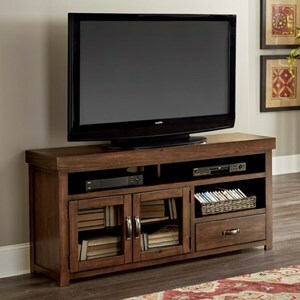 Bring a charming look to your decor with this collection of transitional TV consoles. 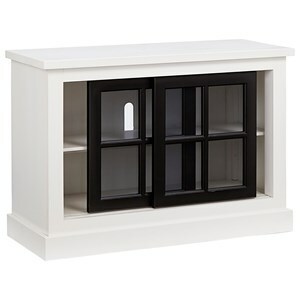 These pieces feature dark finished sliding doors that beautifully complement their light colored frames. Plus, they all have adjustable shelving and wire management openings, so they're sure to be just as functional as they are stylish. 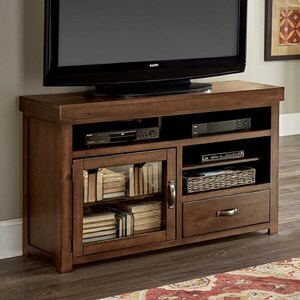 The Habitat collection is a great option if you are looking for Transitional furniture in the Beaumont, Port Arthur, Lake Charles, Texas, Louisiana area. 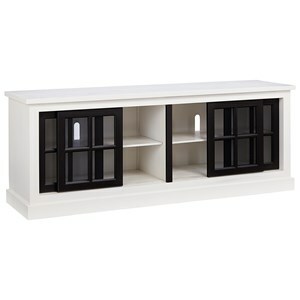 Browse other items in the Habitat collection from Howell Furniture in the Beaumont, Port Arthur, Lake Charles, Texas, Louisiana area.